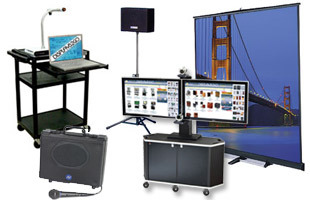 Searching for tradeshow displays at budget-friendly prices? Look no further. We sell a huge variety of promotional event fixtures such as presentation boards, literature holders, banner stands, and more. 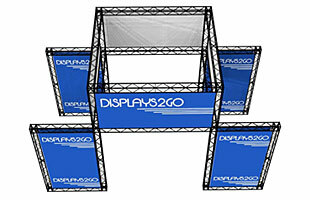 Our line of tradeshow displays includes everything needed for your next event. This extensive catalog of marketing tools has lots of options for gaining positive attention at commercial events. Tradeshow displays — from pop-up graphics and conference booths to sign holders and portable counters will make your next event a success. 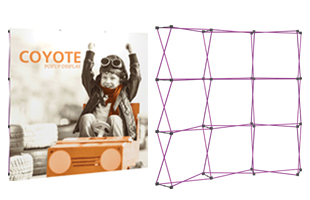 Some of our most popular tradeshow displays are our high resolution pop-up graphic frames. 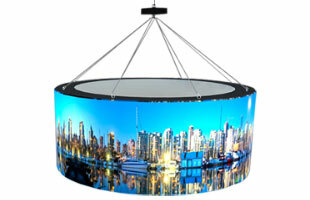 These displays project a large, lifelike image that are assembled in less than 10 minutes. Each signage holder is easy to set up, and comes with an included travel case for easy transportation and storage. 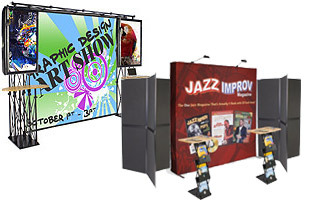 Other popular event booths include our portable pop up graphic displays. 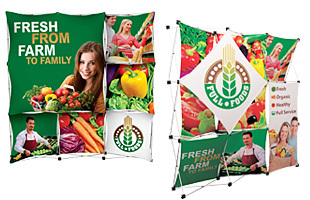 These are made of lightweight printed fabric, and expand to fill the space while the images remain attached. 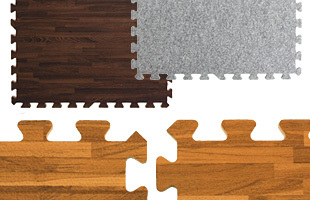 You can expand this frame quickly, assembling or disassembling the graphics holder within minutes. 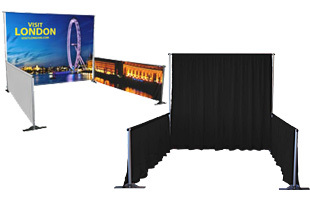 All of these conference displays are great for the background of your event booth, and ship in just days with your custom graphics printed right on the fabric. These exhibit showcases provide endless possibilities. You only get one chance for a first impression, so wow your customers with any of these impressive marketers. 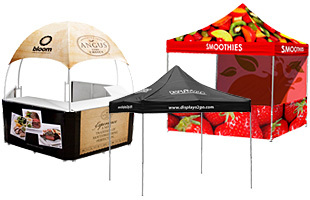 Why purchase promotional expo fixtures? 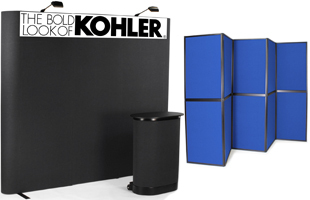 Conference displays are ideal for showcasing your products or services. 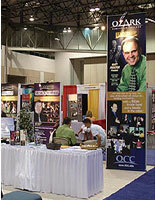 These attractive advertisers are effective at making your organization stand out at a convention, show, or expo. Many of the exhibition accessories and fixtures offered here come with custom printing, increasing your exposure at public events. How are these exhibit tools shipped? Typically these modular fixtures ship via FedEx or UPS ground within the continental United States. 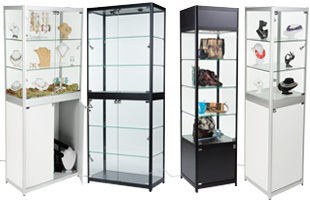 Some of our large exhibit booths need to be shipped via freight carrier. For specific information regarding shipping, please contact a customer service specialist at 1-800-572-2194. 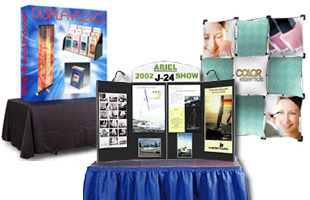 Displays2go also carries a wide variety of hook & loop panel booths ranging from inexpensive portable exhibit booths to our bigger 8' and 10' pop up displays. It's easy to attach posters, sell sheets, or other acrylic accessories with hook and loop backing to the receptive fabric. These event marketers are versatile as portable backdrops. 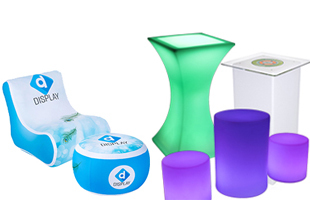 They can also be customized with literature pockets and racks for holding samples and giveaways. 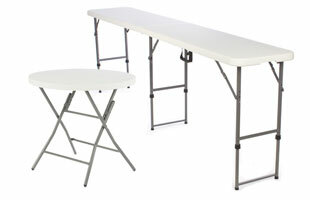 Our portable folding stands set up in minutes, then breaks down into two hard plastic rolling travel cases with locks. 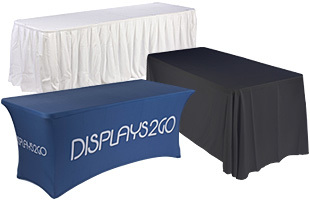 This expo accessory can also be broken down with the top section used as a tabletop fixture for smaller venues and sales calls. 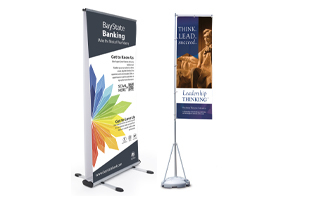 Another great way to make a good impression with large format graphics is with our conference banner stands. 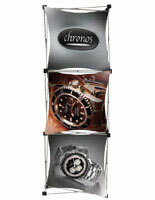 These image holders will make your company's messaging pop, drawing attention to your booth. 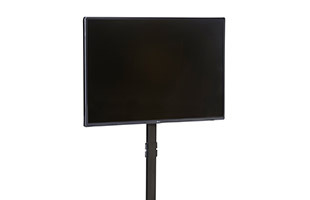 We sell a wide variety of advertisement stands, including units with a retractable banner, event flags, and more. 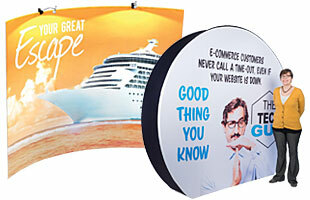 Most of these promotional conference showcases come with custom printed graphics and a travel bag for portability. 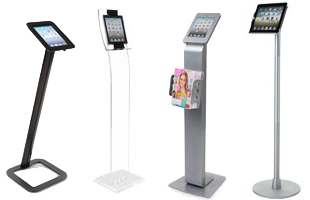 Our advertisement holders with literature racks are another effective option. Businesses spend thousands on marketing materials to promote their image. Why fall short when it comes to conveying your valuable message? 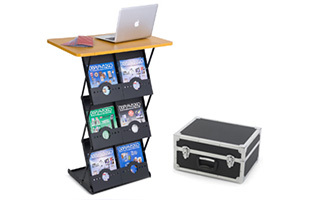 These literature stands provide all of the organization's information in one place. Make sure to give passersby everything they need to gain an interest in your company.